ALL of Central Queensland relies on the Port of Gladstone to be strategically developed for future growth and welcomed opportunities. The Turnbull Coalition Government is focused on not only the development of the Port and its facilities but infrastructure throughout Central Queensland that relies on the port and its access to a world of customers. The Gladstone Port Access Road has been part of an ongoing discussion for some time. 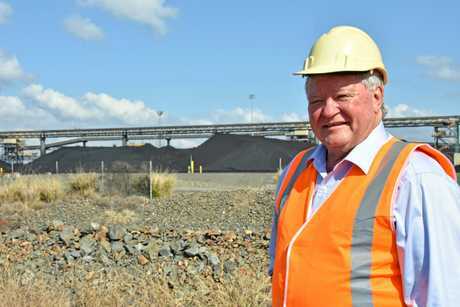 We await finalised plans, scope of the job, project cost projections and to be provided a clear timeline from the Gladstone Port Corporation, Gladstone Regional Council and Queensland Government. 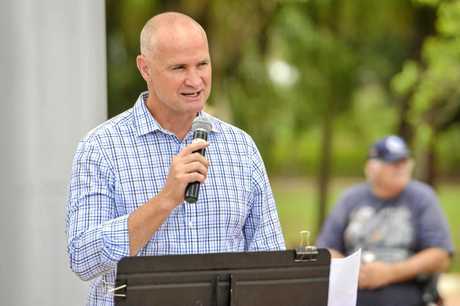 The most recent update provided to me by the Gladstone State MP indicated the project was on hold by the State Government awaiting a final costings analysis. Recent advice and information from Transport and Main Roads has indicated the road may not be required until 2032. Truckies will always find the shortest routes because it is their most cost effective option and has their vehicles off the road in the shortest amount of time. Last Friday I met with TMR in Rockhampton and discussed the port access road, among a number of other ongoing road projects. Duplication of an access road to any large infrastructure needs to stack up. This is why the cost projections and scope of works supported by public consultation is required for any project, not just to the Port of Gladstone. In spite of the opposition from Bill Shorten and the ALP, the Turnbull Coalition Government is determined to push for and advocate projects that will strengthen our region and deliver local jobs. Roads, rails, water, dams, bridges... they are all critical pieces of the essential Central Queensland economic security puzzle. Each piece relies on the others to fit in order to form a complete picture. 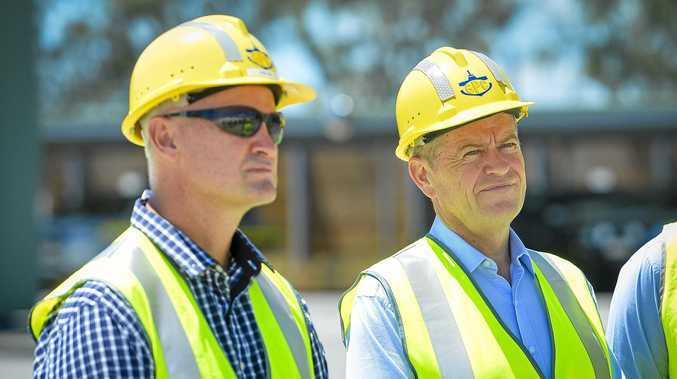 The Opposition Leader's recent visit to Queensland has brought yet another Labor attack on the mining projects that rely upon the port of Gladstone to export their product to global trade opportunities. 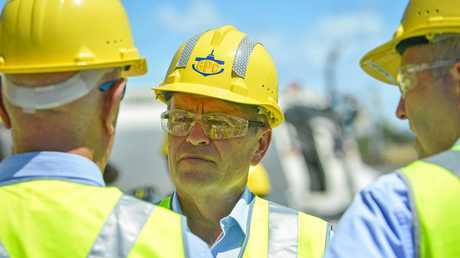 Bill Shorten is talking down the Carmichael Coal Mine and associated CQ infrastructure projects at a crucial time. This attitude against coal and mining is risking thousands of jobs for Queensland. Bill Shorten and the ALP will deliver one line in Central Queensland and another in Batman in a grab for the popular vote. I've previously hosted a delegation from the Gladstone Port Corporation in Canberra. The outcome of those meetings included the release and supply of their finalised plans for the port access road which I keenly await. THE OUTLOOK for Gladstone is bright. After the impacts of the downturn in the resources sector and the construction phase of the gas plants coming to an end we are looking to the future with new industry opportunities a plenty. The Palaszczuk Government has a clear vision for a sustainable billion dollar export-orientated industrial biotechnology and bioproducts sector in Queensland and Gladstone is perfectly positioned to capitalise on this opportunity. Great things are already being achieved including the technological advancements at the Northern Oil Advanced Biofuels Pilot Plant in Yarwun and the international attention and investment it is receiving. We have reinstated the Gladstone Development Board which aims to drive industry investment and to promote the benefits of our region as a world class industrial hub. There is no doubt that Gladstone is Australia's premier industrial location. With a world class deep water priority port adjacent to state development land it is an attractive place for industrial enterprise, especially in the renewables sector. An announcement is expected in the first quarter of 2018 regarding potentially Australia's largest solar farm at Aldoga and the interest in hydrogen power facilities. We have a highly skilled workforce in Gladstone and I am constantly working to ensure that we can keep delivering the meaningful employment opportunities that have been the back bone of our industrial history. From investing in jobs for the future to increasing services and infrastructure, I am looking to build on our strength over the next few years. I am looking forward to the commencement of the second phase of construction of the new Gladstone Accident and Emergency department later this year. 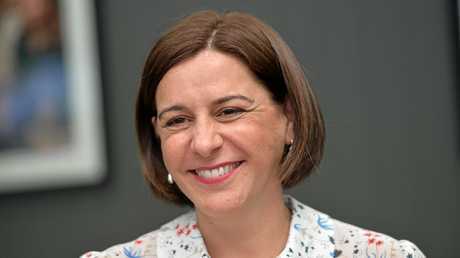 We have slowly filled the vacancies of specialities at the hospital with permanent appointments and we will continue to deliver more nurses to ensure patients can get the care they deserve. The new Step Up Step Down adult mental health facility is set to open in the second half of 2018 which will fill a gap in our mental health services here in Gladstone. We have seen unprecedented investment in our local schools, with many new buildings being completed this year and more projects to come. I am looking forward to continuing to deliver infrastructure upgrades, investment in our school maintenance budgets and of course to ensuring Calliope High School remains on track to commence enrolment in 2020. Finally in regards to community spaces, I am proud to see that the Palaszczuk government's Works for Queensland Program has seen investment in many of our local clubs, including a the Western Suburbs swimming pool and the BMX track. It will be great to see these projects completed this year for the benefit of many in our community. Work will commence on the second stage of East Shores and I am looking to extend this to include a redevelopment of the Auckland Hill lookout, building on the great and unique outlook we have here in Gladstone. Gladstone is a fantastic city and I wouldn't want to be anywhere else. REGIONAL Queensland is in the LNP's DNA. I truly understand regional Queensland's infrastructure needs, how to reduce unemployment, and create jobs. Governing is about priorities. Labor has one priority and that's a $5.4 billion tunnel in Brisbane but we believe they need to start spending on regional infrastructure again. Dams, roads, bridges and ports help to build the economy. We also need to upgrade key sections of the Bruce Highway. That is what the community is telling us. I'm from regional Queensland and I understand the challenges facing Gladstone. The area is like many across the state. It is continuing to miss out when it shouldn't be. Gladstone is an economic powerhouse for Queensland. It creates jobs and is responsible for exporting significant quantities of the state's resources. We also need reliable bridges, road and rail infrastructure across Central Queensland for the trucks and rail carrying our valuable produce to markets. I have invited the new Leader of the National Party and Deputy Prime Minister Michael McCormack to tour Queensland to discuss roads, dams and infrastructure. The Deputy Prime Minister is a relentless advocate for regional Australia and I look forward to continuing to work with the Federal Government to fight for regional Queensland's fair share. The Federal Government acknowledges the need to upgrade access at the Port of Gladstone. Rookwood Weir is a priority and we have been calling for action. Labor committed to it under Peter Beattie and now once again it is finally beginning to make some progress and we hope it continues. Queensland now has the highest unemployment rate in Australia and more jobs are at risk from Labor playing politics with resource and infrastructure projects in Central Queensland. Cheaper power means more jobs but electricity prices are increasing. Last year, Rio Tinto's Boyne smelter said it had to cut Queensland jobs and productivity because of uncompetitive electricity prices. More needs to be done on jobs and power in Gladstone. I understand the need to bridge the gap between Southeast Queensland and regional Queensland. I will continue to listen to the Gladstone community. THE Port of Gladstone is the most important piece of economic infrastructure in Central Queensland. I've been visiting the site longer than I've been in politics and the size and scale of operations there now is remarkable. These days, over 1800 vessels visit the Port of Gladstone moving over 115 million tonnes of products from coal and bauxite to cement and sugar. Most of these ships are bound for Asia and as the economies in our neighbourhood continue to grow, their demand for high-quality Australian products will increase too. Experts predict the Port of Gladstone will be moving up to 300 million tonnes of product each year. That's a good news story, it means more money in the pockets of Australian producers and it means new, secure, well-paying jobs for Central Queensland. But these good jobs aren't guaranteed. Bringing these opportunities to Gladstone and Central Queensland depends on upgrading the infrastructure to support this growth. If Gladstone can't offer the best facilities and the most efficient access, then there's a risk business will go else- where, even offshore. That's not a risk your community should have to take. That's why I promised that a Shorten Labor Government will invest $100 million to build the next stage of the Gladstone Port Access Road. Growing the port's capacity means more products grown, manufactured and mined in Central Queensland will be exported from Central Queensland. This is good for the local economy and it also cuts the number of truck journeys required to move goods produced in Central Queensland down to Southeast Queensland for export. Upgrading access to the port has been at the top of Infrastructure Australia's to-do list for years. The people of Gladstone don't want to hear any more empty talk from politicians. You deserve concrete action, real dollars and value-for-money projects that create good jobs. Building the Gladstone Port Access Road will create 200 local construction jobs and support thousands more across Central Queensland. Upgrading access to the Port of Gladstone is key to Labor's Plan for Real Jobs in Regional Queensland. We're investing in the future so we don't get left behind by economic change. And we can pay for our promises because we're not going to spend $65 billion on a tax giveaway for multinationals and the big banks. Labor's plan is about creating new jobs and new industries throughout regional Queensland so young people don't have to leave home to start their careers and so mature-age workers can retrain and re-skill for new opportunities. Queenslanders shouldn't have to settle for an insecure, casualised, off-shored future.